petition: Stop the Killing of Greyhounds Worldwide! Greyhound racing causes the abuse of nearly 50,000 greyhounds across the globe every year. Many are simply killed once they stop winning. As many as 17,000 young, healthy dogs are destroyed each year in Australia, and over 68,000 have been killed over the last dozen years. 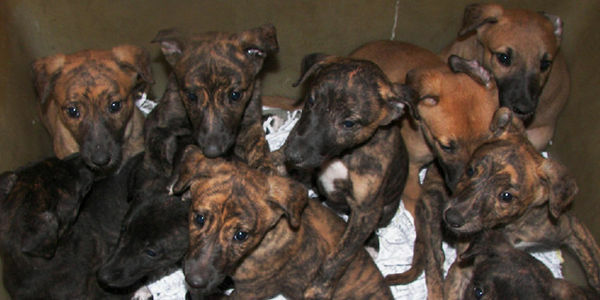 In the United Kingdom, one man alone shot to death 10,000 unwanted greyhounds. Commercial greyhound racing was first invented in the United States, but now exists in eight countries at nearly 150 tracks. That means tens of thousands of dogs all over the world spend their lives in tiny cages, deprived of vet care, drugged, starved and abused before being killed. Despite having some regulations, 14,000 dog injuries have been reported in the US alone since 2008. Common injuries include broken legs, broken backs, paralysis, seizures and head trauma. Some dogs are even electrocuted during races. Get all the facts in our new international dog racing fact sheet. Commercial dog racing is currently legal in Australia, China (SAR of Macau), Ireland, Mexico, New Zealand, the United Kingdom, the United States and Vietnam. Please sign our petition to the leaders of these countries demanding an end to dog racing now! I am writing to urge you to support legislation to end the cruelty of greyhound racing. Thankfully, commercial greyhound racing is a dying industry that remains legal and operational in just eight jurisdictions: Australia, China (SAR of Macau), Ireland, Mexico, New Zealand, the United Kingdom, the United States and Vietnam. Please help save dogs and work to end this cruelty in your country now. 4 tracks in 3 countries are dropping racing. Last week, Miami’s iconic Flagler dog track announced that it is getting out of the business! Great Britain’s Hall Green held its final dog race on July 29. Citing declining interest, Mobile Greyhound Park will call it quits August 19. China’s Canidrome also just confirmed that it too will end dog racing. 2,000 greyhounds will now receive the 2nd chance they deserve. Please share our petition to help save the rest!